The 4 in one solution. The perfect combination! cannelloni, filled pasta with ravioli. Automatic cutter, changing molds, practical and safe. From the small fresh pasta factory with production from 20 kg / h to 300 kg / h industrial lines of fresh pasta. Nowadays we are able to supply you with “turnkey” pasta factories and industrial pasta factories for the production of fresh, dry and gluten-free pasta. We have a pasta machine suitable for every need. From filled pasta machines, to presses and extruders, to pasta processing equipment such as pasteurisers, trabatti, dryers. 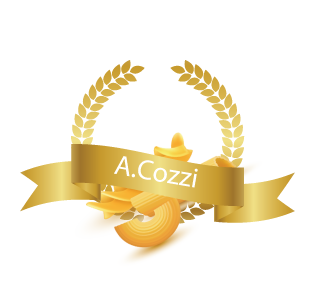 Find out how to open a pasta factory with Aldo Cozzi. Over 40 years of experience to transmit all the “little secrets” of fresh pasta. The new simple and innovative solution. The Pasta Bar Take Away designed specifically for small spaces and especially for small investments. How do I open a pasta take away? Wide range of machines for pasta factories. From presses to ravioli machines to industrial lines for the treatment of pasta. 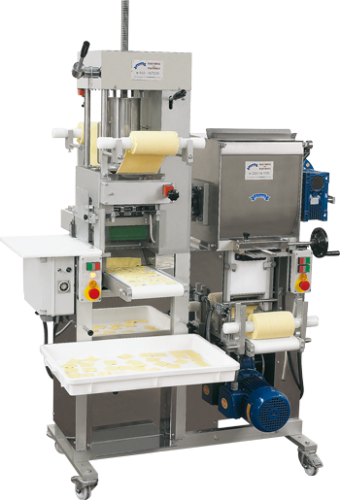 For over 40 years we have been involved in the design and manufacture of PASTA MACHINES. Together we can find the best solution for your PASTA FACTORY. We offer a consulting and training service for the use of PASTA MACHINERY, accompanying you to the opening and transmitting you the “little secrets” of the pasta. What our customers say we have started a PASTA FACTORY. One of our strengths is also the used one, of which we have a large fleet of USED PASTA MACHINES machinery. Revised and guaranteed. Since 1973 we deal with the start-up of artisanal and industrial pasta factories complete with machinery for pasta and equipment. Thanks to the experience gained in over 40 years we are able to provide “turnkey” solutions for your pasta factory of fresh, dry, egg, gluten-free and pasteurized pasta.